Prior to joining SWH in 2017, Ashley had ‘hands on’ highway maintenance and construction experience, but did not have any formal qualifications. Keen to develop himself further, Ashley asked his Line Manager if he could undertake an Apprenticeship with SWH, at which he has excelled. 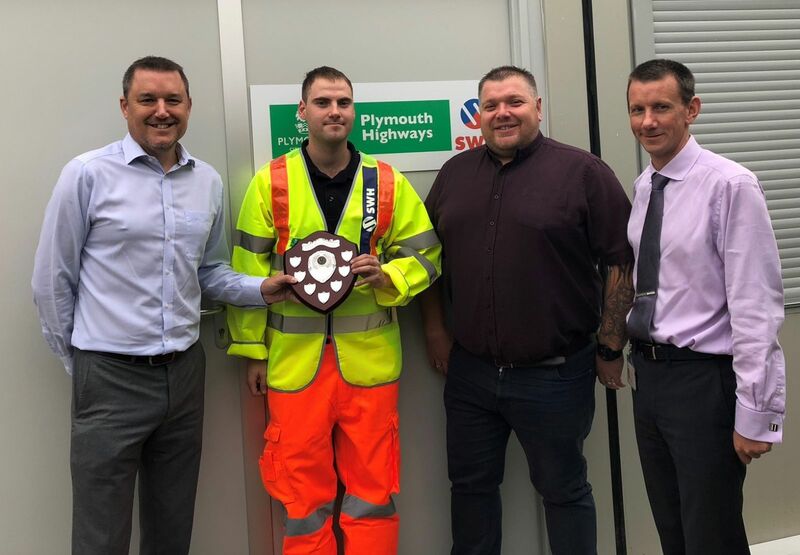 Recognising Ashley’s hard work and potential, Simon Bourne, Learning and Development Manager at SWH has also put Ashley forward for CECA South West’s ‘Most Promising Apprentice of the Year’ Award, which celebrates outstanding achievement within the civil engineering sector. The winner of the CECA Awards is due to be announced on Friday 5th October at the CECA South West Annual Lunch. This entry was posted in Apprenticeships & Training, Awards and tagged apprentices, apprenticeships by Helen Douglas. Bookmark this permalink.